Befikre Makes Us Dream Of Being In Vani's Shoes... Oh, Ranveer! We have some mad love for Ranveer Singh... and if any of you don't know this already, we would be ready to scream it from rooftops. Yes, emphasis on the "mad"! 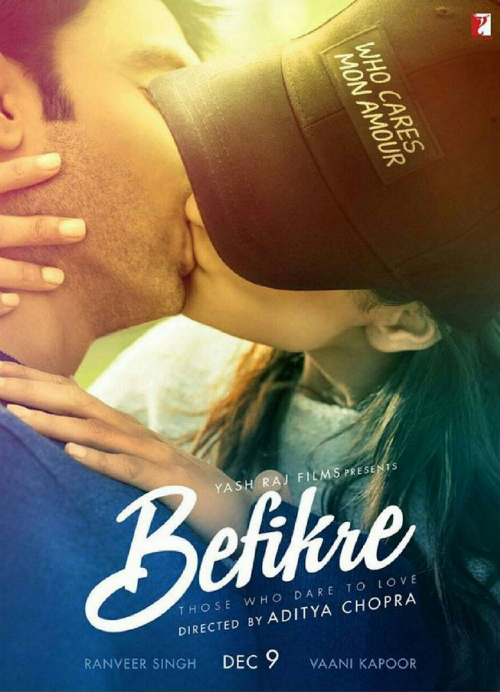 And the first look of his movie Befikre is definitely not helping us contain that love. The poster looks totally dreamy and we are pretty sure we can expect some great romance from this one. As if the poster wasn't enough of a hint, the movie's tagline is "Those who dare to love"... Oh god, we can't WAIT for this movie! Image: Ranveer Singh on Instagram P.S. : Are you digging Vani's cap just as much as we are?! Also Ranveer is totally adorable in this video of him trying to talk in French… And Vani Kapoor is totally blowing us away with how fluent she is in the language. MUST-READ: Deepika & Ranveer Make EVERY Movie Look Better – Here’s Proof! MUST-READ: The Baaghi Trailer: Funny? Intense? CRAZY? You Tell Us!